"Great Product, Highly Recommended and Easy To Use"
It's a great program and very easy to use. Great support if any issues also. We have tried several other versions however Autocad has proven the best solution. There isn't anything I particularly dislike. Price is higher than some however it really is the superior product, we would not consider using another program at this point in time. If they keep going in the upwards direction they are we won't have a need to either. Give it a go, with any program like this it does take time to get used to however this program will not disappoint. The feature sets available are better than any competing products we have seen or had experience with. The program is better than competing products on the market we find and for the price we are very happy to continue using Autcad. This is a Great tool to develop P&IDs. It is user friendly, Intelligent and uses AutoCAD features which are very easy to use and understand. Due to its intelligent capabilities, user can generate various reports in less time. Reports like Instrument list, Equipment list, PLC IO, valves are best. being an Autodesk product, it is easy to interface with many other application which shares same platform. One Big problem with AutoCAD P&ID is it can not be used in multi office environment. So all users of the software must be in same location in order to use it. this is very important for big global projects where users from many countries are working on same project simultaneously. This is a great tool. with some customization this can solve most of your design issues. Interface with other project packages for BIM. I dislike the print and the conversion facilities where we can convert P&IDs to other formats for example pdfs etc. I would recommend them working on their color screens and the menu options. Sometimes you get lost in the menus and also sometimes some of the functionality is hidden from use and thus even available cannot be used. I am a process engineer and work on intricate waste treatment systems in the semiconductor industry. Without AutoCAD P&IDs, I am essentially rendered useless in my job. The main benefit is that it can quickly help me present an idea in the scientific form of a P&IDs to present in front of a technical audience. "Auto CAD P&ID for BD"
This is the world famous software for design and drawing architectural. It is user friendly for use. Most of the people like this soft for designing 2D or 3D view. It has some problem. It has vast feature but no tutorial add with this soft.If it is network base then it will very helpful for us. This is the best for all. Some time I need a 2D layout for drawing that time I use the software and use demo and tutorial. that time i realized its a good software . "Great Drafting Tool for Detailing"
The autocad add-on makes it easier to create details for plan sets submitted to the city. Simplifies adding specifications and information needed to know during installation. The program is definitely different than what we had before which was straight autocad LT. SomEwhat of a learning curve involved but not a huge obstruction. Be sure to allow time for implementation before going live as there is a learning curve. This portion of the drafting process was primarily for editing details pages of the plan set for installation of rooftop photovoltaic systems. "Working with AutoCAD for 2D drawings"
Being able to importing point cloud which does not make the model heavy. The problem is that the software can not import other formats from another software specifically IFC importing in BIM. "I like to use this so much." I like this program very much. Very easy to use. easy to work with this program. I like everything. I am happy with this. Sometimes its slow. And I want more tools. I working on this program at work. I working faster with this. So I like everything. * We monitor all AutoCAD P&ID reviews to prevent fraudulent reviews and keep review quality high. We do not post reviews by company employees or direct competitors. Validated reviews require the user to submit a screenshot of the product containing their user ID, in order to verify a user is an actual user of the product. Hi there! 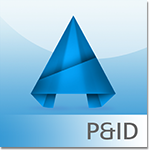 Are you looking to implement a solution like AutoCAD P&ID?